Providing innovative, high quality first aid and preparedness products for work, home, and your next adventure. Our playing fields are often located far from the modern amenities that we take for granted - electricity, telephones, running water, and ready access to professional medical help. Consequently, the need to be self-sufficient in the outdoors is essential, especially during an emergency when assistance from rescue teams may be hours or days away. Selecting the right outdoor safety gear -- products that have been tested to withstand the elements and that are intuitively designed so that they can be used easily by the layperson -- can make all the difference when it matters most. Adventure Medical Kits is dedicated to bringing you the most innovative products which will keep you safe in the outdoors. At AMK, our love of the outdoors is matched only by our drive to create products that allow your customers to stay healthy on land, water, and air. We rely on the expertise of world authorities in wilderness medicine and survival techniques to develop and refine our products year after year. An adventurous spirit loves to explore. We hope that Adventure Medical Kits help you enjoy those experiences and keep you coming back for more. 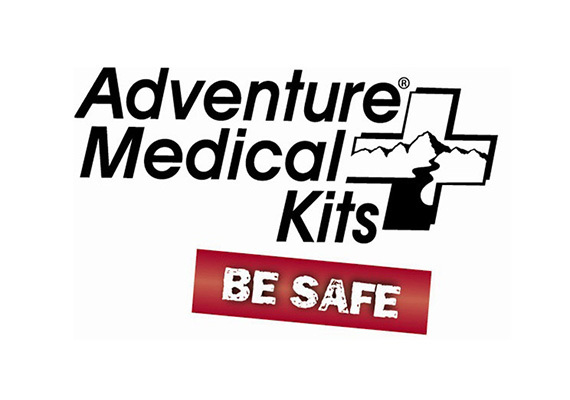 Check out the Adventure Medical Kits website.